Parenting is a crazy, frustrating, and amazing adventure all wrapped up in a bunch of crazy kids. It can seem a little overwhelming a lot of the time but there are a few simple things parents can do to help parent their children. 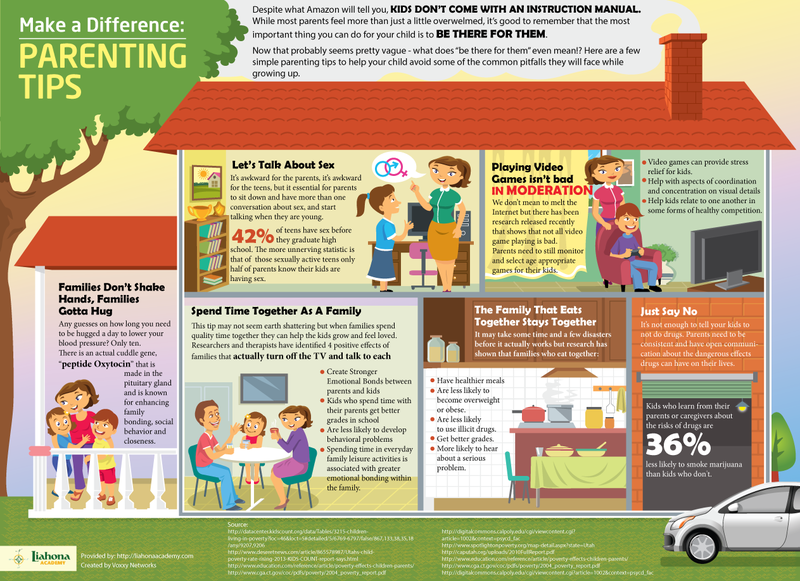 This list isn’t comprehensive by any means but the tips discussed in this infographics can help families grow closer together. Please include attribution to Liahona Academy - A Residential Treatment Center for Boys with this graphic.